What Are WordPress Posts And Pages? What Types Of Content Can You Add To WordPress Posts Vs Pages? This step-by-step tutorial explains the most important differences between WordPress posts and WordPress pages and which type you should use when publishing content to your site. If you want an easy way to manage your content online, then you really should consider building your website with WordPress. 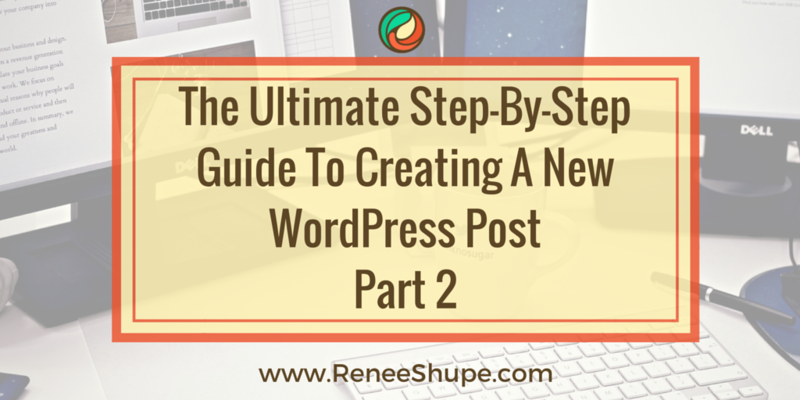 WordPress provides site owners with two main content publishing types: Posts and Pages. In this tutorial you will learn about the significant differences between WordPress Posts and WordPress Pages and which type you should use when publishing content to your site. First let’s explain the main differences, and then I’ll show you ways to use Posts and Pages on your WordPress website. In WordPress, you can publish content online using either Posts or Pages. Although your readers or visitors may not care whether you are using Pages or Posts to display content on your site, it’s important that you understand the differences between these two features, so you can choose whichever one you feel is the most appropriate type whenever you have new information to share online. Let’s have a look, then, at these differences, starting with WordPress Posts. What do you think about when you hear the word “blogging“? Most people associate blogs with content related to personal journals, sharing latest news and updates, and so on. Blog posts can be used to publish all of the above content online, but there’s another reason for using blog posts, and that is discussed in our article series on driving more traffic to your business using WordPress. Note: Making a WP post “sticky” is explained in more detail in a separate tutorial. Note: To learn more about WordPress Categories, Tags, RSS Feeds, etc. see our other tutorials and articles. Now that we’ve seen some of the unique characteristics of Posts, let’s take a look at the similarities between Posts and Pages. WordPress posts and pages share the same features and methods for adding post/page titles using title fields and adding and editing content using the WordPress Visual/Text Editor. WordPress pages and posts both use theme template files to help maintain a consistent look throughout your website. Pages and posts are seen by search engines as indexable content. Depending on the theme and plugins you have installed on your website, WP pages and posts both give you control over SEO settings like Title, Meta Description, and Meta Keywords. Depending on the theme and plugins you have installed, content from or links to posts and pages can display in your menus and widgets. Although posts and pages have many similarities, pages have a number of distinct features that separate them from posts. A Pages is not listed by date, and doesn’t use tags or categories. You can, however, order Pages hierarchically to keep your site content organized. In the example above, a “Pages Widget” is used to display links to five parent pages and three “child” pages. Pages can also use different templates. These page templates typically include template files, template tags and other PHP code that allow unique, complex or sophisticated features to be added to a page. Pages are not posts. Pages are not processed by the WordPress Loop, which is PHP code used by WordPress to display posts and to cycle post data (like time, category, etc.) through your blog’s main page. Note, however, that you can change this by using various plugins or customizations. Pages cannot be associated with post categories and cannot be assigned post tags. This means that pages can only be organized according to a hierarchy where you specify and arrange the order of parent pages and child pages, not by referencing tags or categories. Pages are not server files. 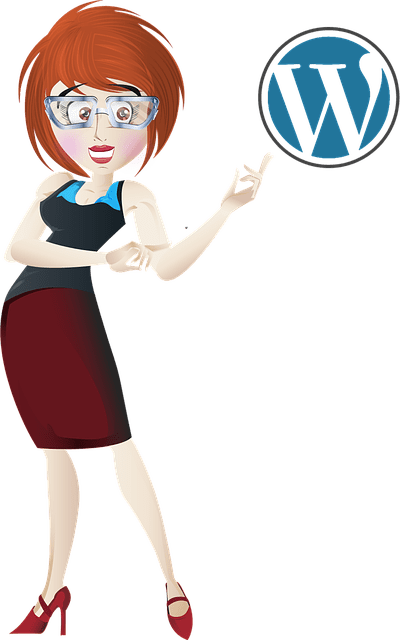 Unlike websites that are built from a collection of static pages saved as separate files within your server, WordPress pages are created, managed and stored in a CMS (just like Posts). Pages are not included in your site’s RSS feed. Earlier, I explained that posts show up in your RSS feed. Pages do not. Note: there are plugins available that will display pages in your site’s RSS feed. Pages (or a specific post) can be set as a fixed “home” page. In other tutorials I explain how to set up a page to display as the home page of your WordPress site, and show you how to create a blog page (where a list of your most recent blog posts display in a separate blog page). Because posts and post content are referenced from different areas of your WordPress site (e.g. archives, searches, tags, categories, RSS feeds, custom menus, etc.) than content published using pages, many WordPress SEO experts argue that it is generally better to publish content designed to attract more exposure from search engines using posts instead of pages. WordPress lets you insert content as text into posts and pages using either the Visual Content Editor, or a Text Editor (or both). Depending on how you choose to configure your site’s settings and plugins, you can also add “meta” text to posts and pages (e.g. titles, descriptions and keywords that let you specify how you want your posts or pages to appear in search engine results), create custom excerpts, etc. Content can also be added to posts and pages by inserting code directly into your file templates. Please note, however, that in order to add and edit site templates, you will need to have at least a basic understanding of code languages like HTML and PHP. 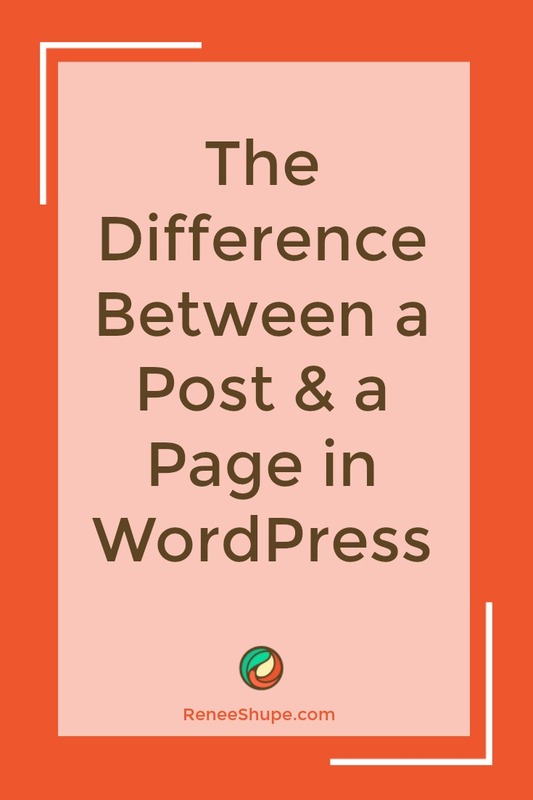 As you can see, WordPress posts and pages have a significant number of differences, and knowing what these differences are can help you decide when to use one or the other type to publish your content about your business. Hopefully now you have a better understanding of issues that can affect your website and how WordPress can help you improve your business business online. To learn more about using the WP web site publishing software please click on links to visit other posts I have published.